EU Law Analysis: The Dutch referendum on the EU/Ukraine association agreement: What will the impact be? The Dutch referendum on the EU/Ukraine association agreement: What will the impact be? 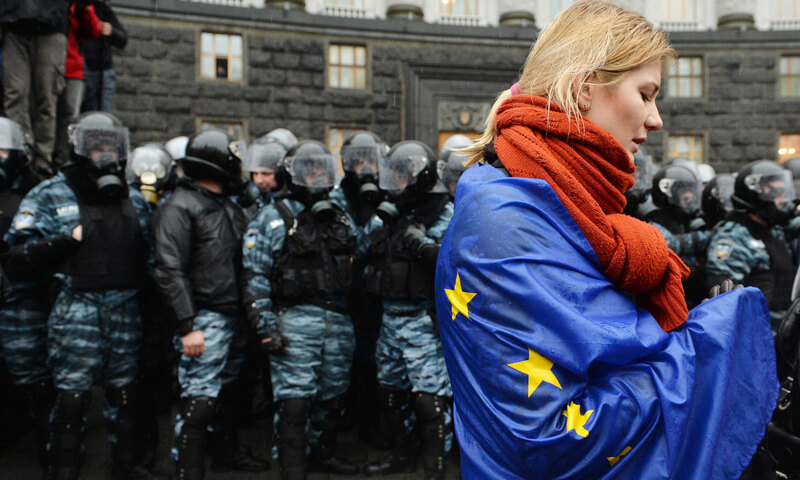 On 6 April 2016, the Dutch voters – not surprisingly according to the recent polls – rejected the EU-Ukraine association agreement with 61.1 percent of votes against. While the voters came just above the 30 percent threshold, the result itself seems to be quite a convincing “nee”. The EU has so far concluded numerous association agreements with other countries, for example with Algeria, Tunisia, Morocco, Israel, Egypt, Chile and, most recently, Kosovo. So why was the referendum organised exactly regarding Ukraine? The reason is both banal and worrying. The so-called ‘Citizen’s Committee-EU’ (Burgercomité EU), which was behind the initiative, publicly and boldly stated prior to the vote that they ‘did not care about the Ukraine’: the referendum was meant solely to weaken the EU, as well as to put the relationship between the EU and the Netherlands under pressure. The Association Agreement was simply one of the ‘actionable’ items picked from the list maintained by the Dutch Voting Council and so became a scape goat for undermining Dutch-EU relationship. In order to be able to organise a referendum and to make it subject to the new law on referenda, entering into force just a few days after the association agreement with Ukraine should have been voted upon, the campaigners petitioned the Socialist Party (SP) and the Freedom Party (PVV) in the Dutch parliament to postpone the voting on AA in the Parliament. And it happened. Subsequently, the committee contacted the popular right-wing weblog ‘Geenstijl’ to help organise the campaign to raise the necessary signatures for a referendum. The latter agreed, calling the initiative ‘Een leuk zomerdingetje’, a summer fun thing to do. Legal consequences at the EU level: a ticking bomb? From a legal perspective, several issues need to be addressed. The EU-Ukraine Association Agreement falls within the category of mixed agreements, meaning that, on the side of the EU, both the EU as well as its Member States are parties to the agreement. In practice this means that all the signatories have to ratify the agreement before it can enter into force. From the side of EU Member States, they have to ratify the agreement in accordance with their constitutional tradition. From the side of the EU, the European Parliament has to give its consent and the Council needs to vote with unanimity (Article 218(8) TFEU). The question is, of course, what legal consequences the NO vote will have for the actual Agreement. On the one hand, it is yet to be seen whether the Dutch government takes the public opinion into account and whether or not it will nevertheless ratify the agreement. The referendum is what is termed ‘advisory corrective’: a non-binding plebiscite addressing the desirability of laws enacted, including those approving certain international treaties. As such, legally, there is no obstacle to Dutch ratification of the Association Agreement. Politically, however, the matter is a different one: the government, and the ruling coalition, already lack popular support. Prime Minister Rutte can therefore not afford to simply ignore the result. Indeed, he has already promised to take the ‘nee’ seriously and announced that would not ratify the agreement ‘as [it] is’. Nonetheless, it remains hard to predict how seriously one should take this: the Dutch lack a constitutional tradition as regards referenda, with the only other referendum held at national level being the 2005 referendum on the Treaty Establishing a Constitution for Europe. On the other hand, the NO vote might have an impact on the agreement itself. It is possible that the Dutch government will require a renegotiation of the agreement in the sense of softening the clause on potential accession of Ukraine to the EU. However, with regard to other parts, since the arguments of the NO campaign have little to do with the content of the agreement itself, it is rather unclear which parts of the agreement would need to be renegotiated. In fact, in the Netherlands, the politicians are still trying to unravel what exactly is the message that the voters were trying to cast. In addition, as all other Member States of the EU have already ratified the agreement it is unlikely that the Netherlands would find much support for extensive amendments to the text. Another option is to draft an opt-out for the Netherlands. Although this option is not used very often, it could potentially be a plausible solution for the current conundrum. A comparable opt-out is the one of Ireland and the UK not being signatories of the Schengen Agreement. Within the EU, there are other important opt-outs: Denmarkand UK have opted out of the monetary union and those two countries together with Ireland have an opt out from the area of freedom, security and justice. However, it is not sure whether such an opt-out of the Netherlands should be limited only to certain provisions depending on the type of competence of EU for a particular policy matter. With regard to the provisions of the Association Agreement relating to Common Foreign and Security Policy, an opt-out would be legally possible, for example by using a protocol stating that the Agreement does not apply for the Netherlands except for parts that are already subject to provisional application. However, with regard to provisions that fall within EU exclusive competence, such as common commercial policy (trade), an opt-out would be both legally and practically difficult. Legally because in the area of exclusive competence, the Netherlands would need to get a special empowerment from the Union in order to be able to act on its own (pursuant to Article 2(1) TFEU). Practically, opting out from trade provisions would face immense difficulties. Not only would this be difficult because this part of the Association Agreement already provisionally applies, but also for another reason: if Ukrainian goods were imported to EU under lower customs tariffs, how could the goods circulate freely within the EU if the Netherlands would not apply these lower customs tariffs due to its opt-out to the Association Agreement? In essence, the EU would become a free trade area rather than a customs union. It therefore seems most likely that the content of the agreement will remain unchanged. It is most probable that the Agreement will (continue to) be provisionally applied until the final solution on the Dutch position is reached. Provisional application of an agreement is namely, according to Article 218(5) TFEU, possible before its entry into force. The EU-Ukraine association agreement was adopted in 2014 and is already being applied provisionally. Since 2014, the titles on Justice, freedom and security (Title III), on Economic and sector co-operation (Title V), on Financial cooperation, with anti-fraud provisions (Title VI), and Institutional General and Final Provisions (Title VII) have been provisionally applied. The title on Trade and trade-related matters (Title IV) has had provisional application since the beginning of 2016. A provisional application is common with regard to international agreements and has happened on more than one occasion, including for the Association Agreements with Georgia and Moldova. Such provisional application of association agreements requires unanimity in the Council following Article 218(5) juncto 218(8) TFEU. Perhaps an even more important question is whether a Dutch NO vote could have an influence on other high profile association and accession agreements. A pertinent example in this regard is Turkey. Recently, the EU leaders promised to reopen a chapter of the long-frozen accession negotiations in return for Turkey’s help with the EU refugee crisis. Turkey, which applied for the full EU membership already in 1987, became an official candidate country in 1999. Accession negotiations started in 2005, but were not progressing, with both sides dragging their feet. With the current renewed impetus, and the opening of some chapters for negotiation, future EU membership of Turkey again seems a real, albeit currently remote, possibility. There is no direct legal link between the EU-Ukraine Association Agreement and the potential future Accession Agreement with Turkey. The link between the two, however, goes over the political bridge of the Brexit where the results of the referendum on 23 June 2016 might be influenced by both the results of the Dutch referendum as well as by the question of potential accession of Turkey to the EU. The UK public debate already confirmed that voters would be likely to vote in favour of leaving the EU should Turkey join. Politically, it is therefore to be expected that the accession negotiations with Turkey will slow down and may even come to halt before the Brexit referendum. Also, both France and Austria are determined to hold referenda for accession of Turkey, and to that list one might – in the light of recent events - perhaps also add the Netherlands. Moreover, the Cyprus question will probably also slow down the negotiations with Turkey, regardless of Brexit. Legally, however, the Dutch rejection of the EU-Ukraine Association Agreement will have no implications for the potential negotiation of an Accession Agreement with Turkey. The two types of agreements show rather differences than similarities. While the EU-Ukraine agreement is a mixed agreement concluded with the consent of the European Parliament and unanimity in the Council (Articles 218(6 and 8) TFEU), the accession agreement is concluded only between the Member States of the EU and the acceding state (Article 49 TEU). Furthermore, with regard to the legal base, the EU-Ukraine Association Agreement was based on Articles 31(1), 37 TEU and 217 TFEU. While Article 217 TFEU gives the Union a general competence to conclude association agreements, the other two Articles concern the Common foreign and security policy (CFSP). The Accession Agreement, however, not being a mixed agreement, is a classical international agreement between several states and thus has no legal base as such in the European treaties: Article 49 TEU simply stipulates the basic requirements and procedure for accession. Moreover, an Accession Agreement– contrary to Association Agreements – has to date not been provisionally applied. Therefore, the procedure for conclusion as well as ratification requirements of these two types of agreements are different, with accession agreements needing to be ratified (only) by EU Member States and the future Member State. In conclusion, the Dutch referendum should be taken as a warning for the European Union leaders that things can rather easily go wrong if the EU does not sufficiently engage with the domestic level in the context of some of its more controversial decision-making. The almost complete apathy of the Dutch government towards the referendum and the lack of serious attempts at defending the decision to sign the agreement almost certainly contributed to the rejection of the Association Agreement with the Ukraine. The lesson that should be therefore drawn for the future is, as the House of Lords EU committee recently argued for the UK, that Member States should actively take responsibility for their EU Membership, and the decisions they take in that context, and be prepared to defend them at the national level. Thanks for this update. Although the Burgercomité EU has some points that one could say are right, like fighting for more democratic decisions making, it is not a good development that more and more countries are leaning towards leaving the EU.